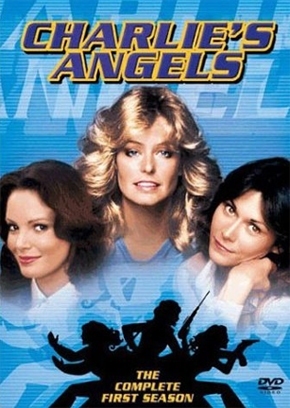 – Farrah Fawcett‘s death has seemingly taken a backseat to Michael Jackson coverage in the media, but TV Land will air the first two episodes of the late Charlie’s Angels star’s 2005 celebreality series Chasing Farrah on June 27 at 9PM ET. NBC will re-air Farrah’s Story, the recent two-hour documentary that followed her battle against cancer, tonight at 9PM, while the Bio Channel will air Bio Remembers: Farrah Fawcett June 29 at 10PM. – The deaths of Farrah Fawcett and Michael Jackson apparently sparked some Internet pranksters to start rumors about the deaths of Law & Order: Criminal Intent star Jeff Goldblum and Harrison Ford. Weird, random totally untrue. – The Sarah Palin hubbub helped David Letterman best The Tonight Show in the ratings for the first time in more than three years. – It’s a go: Noah Wyle will star in Steven Spielberg‘s alien-invasion pilot for TNT. – The Scientologists are taking to the airwaves again with a new series of TV commercials, including one that aired Wednesday night during 360 with Anderson Cooper on CNN. – Privileged star Joanna Garcia will pop up on the new season of Gossip Girl as Bree Buckley, a nasty Southerner who’s rumored to have a little somethin’-somethin’ going with Chace Crawford‘s Nate. – NBC has announced its fall schedule premiere dates, including the premiere of The Jay Leno Show on Sept. 14 and the Sept. 17 premiere of Community, the best new sitcom to hit the tube since 30 Rock (which, by the way, returns to the network’s line-up on Oct. 15). – If American Idol runner-up Adam Lambert doesn’t drop a great debut album, it won’t be because of a lack of talented collaborators. Among those writing and performing with Lambert on his disc are One Republic‘s Ryan Tedder and Idol judge/songwriter Kara DioGuardi, but also musicians who’ve worked with Evanescence, David Archuleta, Kelly Clarkson, Katy Perry, Aerosmith, Bon Jovi, Christina Aguilera, Jason Mraz and Britney Spears. – Jeri Ryan will play a new con woman on TNT’s Leverage. – The U.S Postal Service is releasing a new series of stamps that will honor classic TV stars and shows. The Aug. 11 release will find stamps featuring Groucho Marx, Rod Serling, Howdy Doody, Lassie, The Lone Ranger, The Honeymooners and I Love Lucy. – And, a Fraggle Rock comic book?! Yep, it’s happening. StephenMof on Shopping Shark Week! Barrytrure on Shopping Shark Week! HubertDrype on Shopping Shark Week!